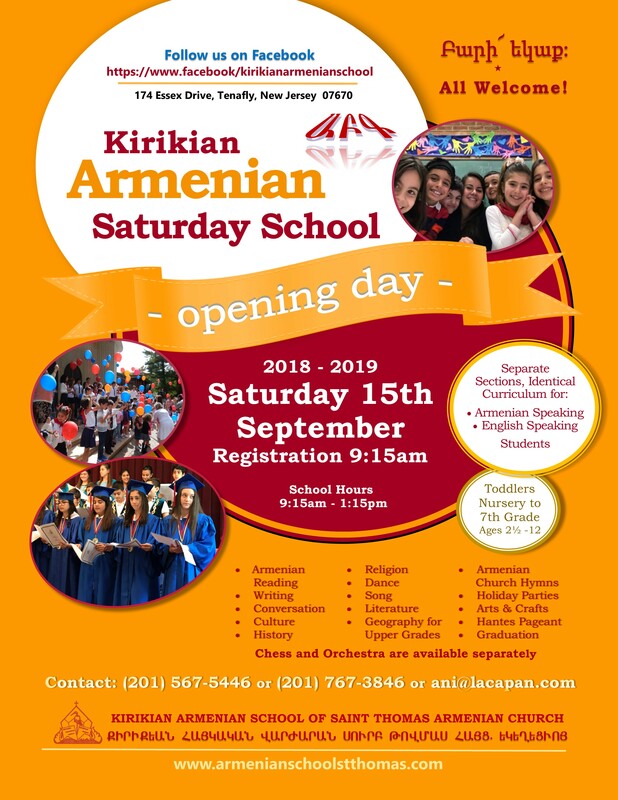 The Kirikian Armenian School of St. Thomas Church of Tenafly, NJ, will begin the academic year on Saturday, September 15. Classes are aimed at toddler, pre-K, and kindergarten through grade 7 levels, with offerings in Armenian reading, writing, conversation, culture, dance, song, religion and sacred music. For information contact school principal Ani Capan at ani@lacapan or (201) 767-3846; to view a flyer click here. To register, log onto the official school website.